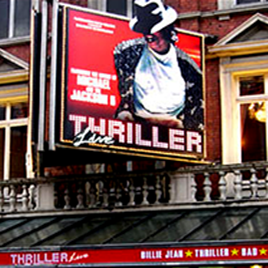 Thriller Live Meal Deals Package – Get Complete information about Meal deal Packages. The enthralling show stopping London musical, Thriller Live is a spectacular show celebrating the sky rocketing career of legendary performer, the King of Pop, Michael Jackson. The rocking live concert is beautifully presented at the magnificent Lyric Theatre. The two hour long show beautifully presented the solo career of Michael Jackson along with Jackson 5. The greatest live performances is backed by the Sony BMG Music Entertainment UK. Thriller Live finely presents the 40 year long career. His immensely popular album, Thriller basking on the success of 750 million record sales across the globe and considered as the top most album of all time. The current star cast of Thriller Live comprises of Trenyce Cobbins, Haydon Eshun, MiG Ayesa, Wayne Anthony Cole, Joanna Jones, Britt Quentin, Oggie Iwo, Maria Akpan, Laurie Kay Hue, Asleigh Wadforth Frost, Cassie MacMillan and Libby Hall. Almost thirty of the most popular hits of Michael Jackson are being performed at the Lyric Theatre. The outstanding musical concert finely show cases the unique dancing style and mesmerizing musical numbers of the great performer. The mesmerizing London musical can be enjoyed at fullest at Lyric Theatre! We offer safe and secure booking with seat allocation made before the payment done. 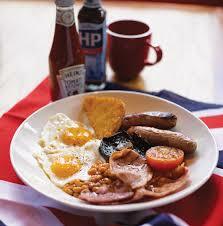 The feel good London musical is renowned for its incredible choreography and scintillating musical numbers. The show beautifully presents the magic of Jackson and suitable for people of age groups. So, get your tickets now and have a memorable experience! Suitable for ages 8 and over. Contains constant use of flashing LED screen and some strobe lighting. I enjoyed every minute!! The cast put their heart and soul into the dance routines which were exhausting and they never tired. The dancers were incredible and the songs so good I didn't want it to end. My favourite female dancer was Jorga the blonde dancer, she was so talented and really gave it her all. I was also mesmerised by the guy who played MJ his moves we're amazing, so talented. Absolutely five stars from me! My most favourite musical and I've seen most of them. Some new cast members Ashleigh Gray, Aaron Sidwell, Hannah Levane and Niall Sheehy have joined the enthralling and upcoming London show Cool Rider to be played at the Lyric Theatre for just one night. All of them will accompany Reece Shearsmith in the exciting musical concert. The eagerly awaited concert is homage to the American musical film Grease 2 and presents onstage the love saga of Stephanie Zinone and Michael Carrington. The upcoming concert will play two performances, one at 19:30 and other at 23:00 on 27th January 2014. Gray is renowned for her significant role in hit London show Wicked. She has also participated in the UK tour of Grease in the year 2006. Sidwell is renowned for her wonderful performance as Steven Beale in the BBC Soap EastEnders. Sheehy is the current cast member of Les Miserables and renowned as a finalist on ITV talent search superstar. On the other hand Levane has performed in the We Will Rock You and Flash dance, the two most popular successful London Westend Shows. The romantic tale Cool Rider has some great musical numbers such as Who’s That Guy?, Score Tonight, Reproduction, Girl For All Seasons, We’ll Be Together and Cool Rider. Cool Rider, the cult musical sequel in concert has announced its casting. 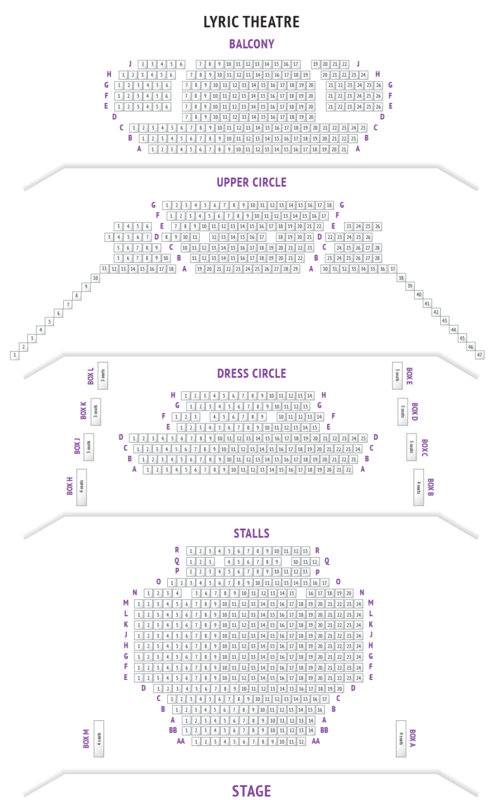 On 27th January 2014, the show will run two of its performances at the opulent Lyric Theatre. Earlier announced starcast Reece Shearsmith as biology teacher Mr Stuart are Ashleigh Gray as Stephanie, Aaron Sidwell as Michael, Hannah LeVane as Paulette and Niall Sheehy as Johnn will be joined with new one. The recent credits in the Ashleigh Gray will be standby Elphaba in Wicked at the Apollo Victoria Theatre, Martha in the UK Tour of The Secret Garden, Lorraine in the UK Tour of I Dreamed A Dream, Kim in the UK Tour of Taboo – where she made her professional debut, Miss Lynch in the UK Tour of Grease, Emily in Myths and Hymns at the Finborough Theatre and Miranda in Betwixt at Trafalgar Studios. In the Momentous Musicals, Ashleigh has made guest appearance, whereas Susan Boyle in Concert and Lee Mead at Pheasantry and West End Men. The sensational saga is about the daring love saga of two unlikely lovers. Their wonderful romance will be a spell binding experience for the viewers as it is coming for just one night to London Westend. The magnificent show has some brilliant musical numbers such as Who’s That Guy?, Score Tonight, Cool Rider, Girl for all Seasons and the haunting melody of Rock-a-Hula Luau (Summer Is Coming). Cool Rider will beautifully showcase the styles, moves and wheels of greatest high school and also give tribute to the amazing brilliance of movies. Guy Unsworth has directed the show, whereas choreographed by Matt Krzan. Lee Freeman’s outstanding musical direction and spectacular production by Christopher D. Clegg and James DP Drury makes the show a remarkable experience! Currently Zoe Birkett is giving sensational performance at the smashing London show Thriller Live at the opulent Lyric Theatre London. She has been an original cast member of Priscilla Queen of the Desert. She was the DIVAS with Jason Donavan. In choreographer Gary Lloyd’s What a Feeling running at the London Palladium, she was the leading singer. In the blockbuster Thriller Live, she acted as the female actor at the Lyric Theatre along with South Africa, Europe and Brazil. The wonderful actor has a huge Brazilian following and has been hugely received. Some of the major theatre credits of Zoe are Respect La Diva as the lead actor at Garrick Theatre. In Hair, she performed as Dion, in Munich and Piccadilly London. She was portrayed the leas role of Acid Queen in Who’s Tommy at Prince Edward Theatre whereas Maureen in RENT at Greenwich Theatre. Zoe is hugely popular among the theatre lovers. She has given live television vocal performances such as Top of the Pops, Liquid News, Pop World, CDUK, Pepsi Chart Show, the Disney Show, This Morning, SMTV, Des & Mel, Nickelodeon, Children in Need, Alan Titchmarsh, Paul O’Grady etc. She has also given performances as female backing vocalist for US artist Jason Derulo and Cher. The electrifying and rocking London musical, Thriller Live has made an entry into the record books of Lyric Theatre. The show has become longest running in the history of Lyric Theatre since its opening on December 1888. The hugely successful musical tribute show of great performer Michael Jackson has made history at Lyric Theatre and became the longest running show in the last 125 years. With 1815 performances on May 2013, the show is still going strong featuring some of the sensational musical and dance performances by the talented performers. The blockbuster show Thriller Live has been enjoyed by more than 2.3 million people across the globe in 26 countries.